The “Scientifics” often sketched the wildlife specimens they came across during their travels. After careful study, many specimens then became dinner! The Wilkes Expedition discovered thousands of new plant and animal species. 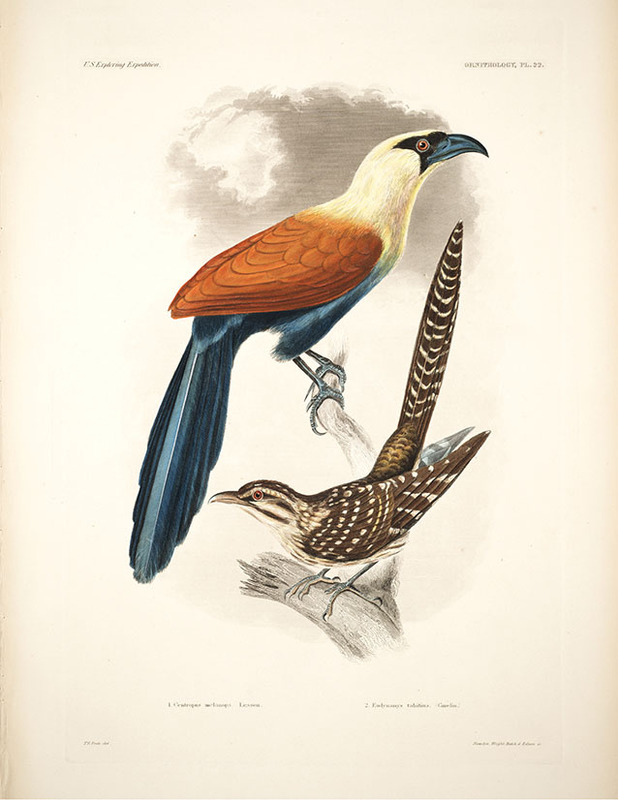 These images come from the volumes of the expedition’s findings.